Many colours to suit your branding! As we come into the cooler Winter months, you won’t want to miss out on our Beanie special. The AH731 Acrylic Beanie is a recommended beanie of ours. It is 100% acrylic and looks great when your logo is embroidered on the front. The Acrylic beanie is available in a range of colours so you will be sure to find a colour that suits your logo and branding. 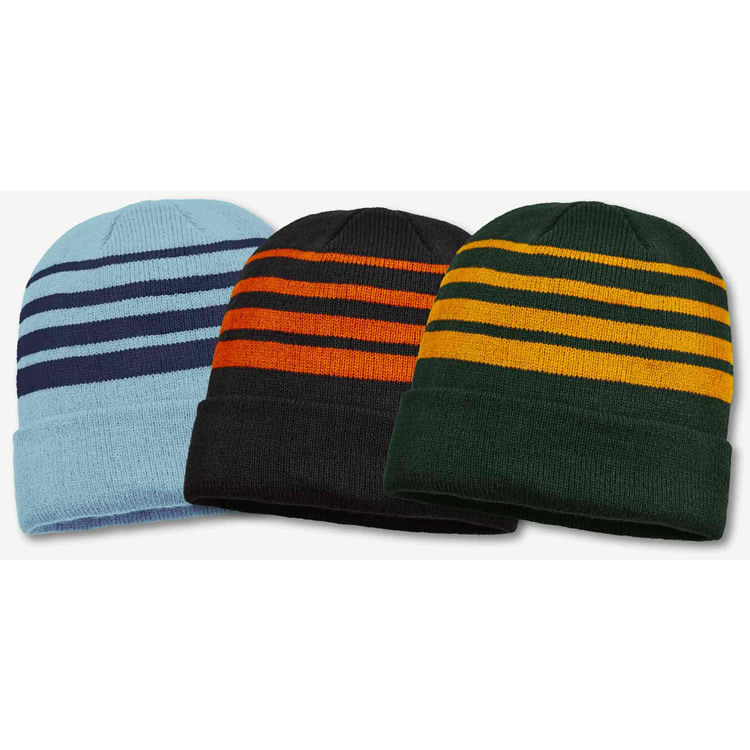 The Acrylic Beanie features contrast multi stripes and is a rollback design. We offer inhouse embroidery on our Acrylic Beanie giving you a fast turnaround from the date you approve the order and artwork approval. Your logo will look unreal on our Acrylic Beanie. Our coloured beanies available include Red/White, Royal/White, Navy/White, Black/White, Black/Orange, Sky/Navy, Bottle/Aussie Gold, Royal/ Aussie Gold, Navy/Aussie Gold, Black/Aussie Gold, Black/Red, Navy/Red. Goodgear supply embroidered beanies locally across the Central Coast, Newcastle and Sydney regions. We also deliver beanies with embroidery to Canberra, embroidered beanies to Melbourne, beanies with logo embroidery to Adelaide, embroidered beanies to Brisbane, Perth and Darwin. Contact Goodgear for any further information on our embroidered beanie special.